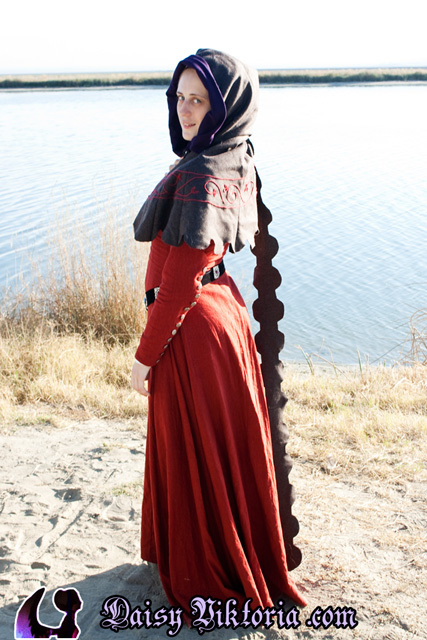 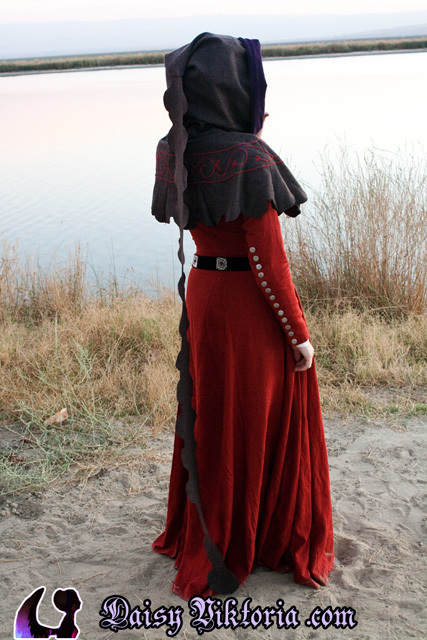 This hood is based on early 15th century documentation. 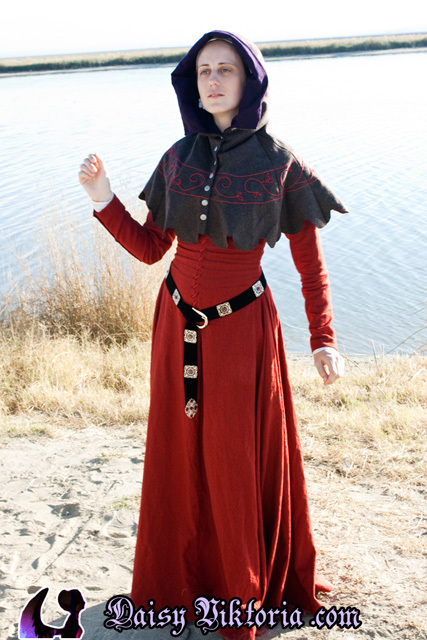 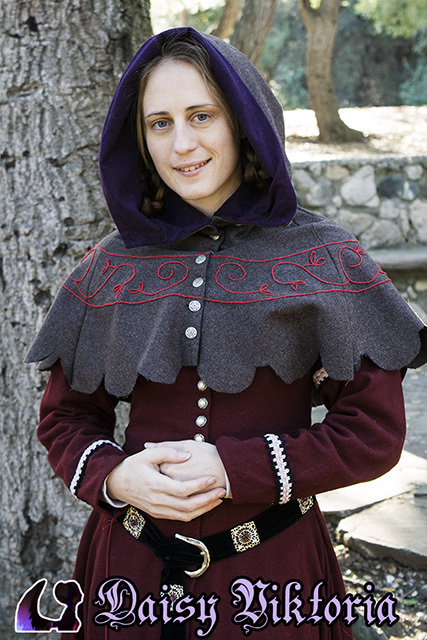 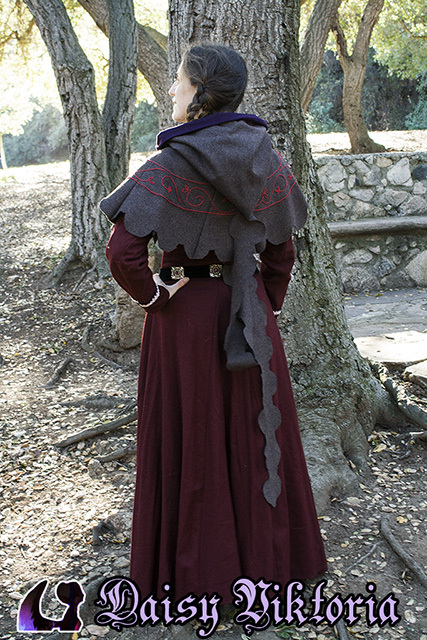 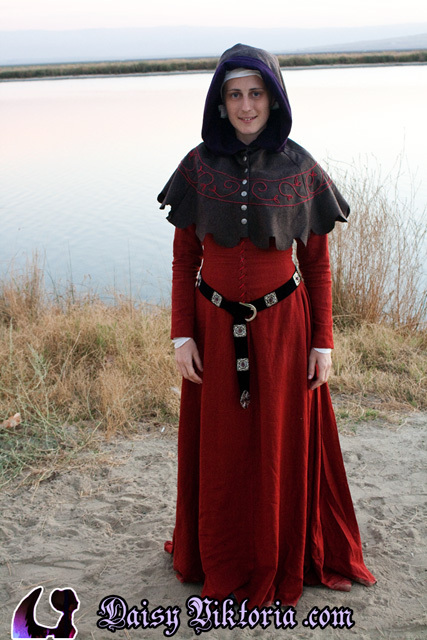 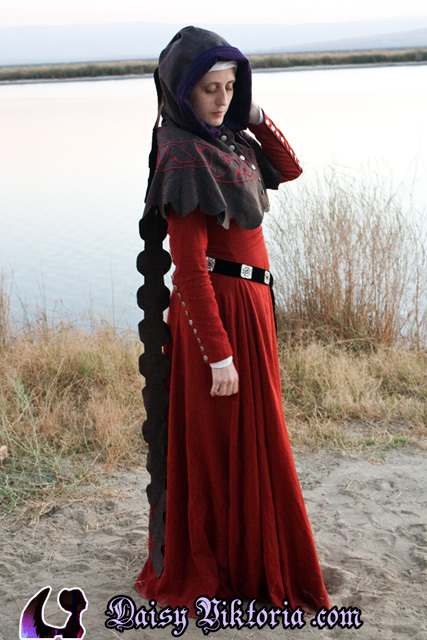 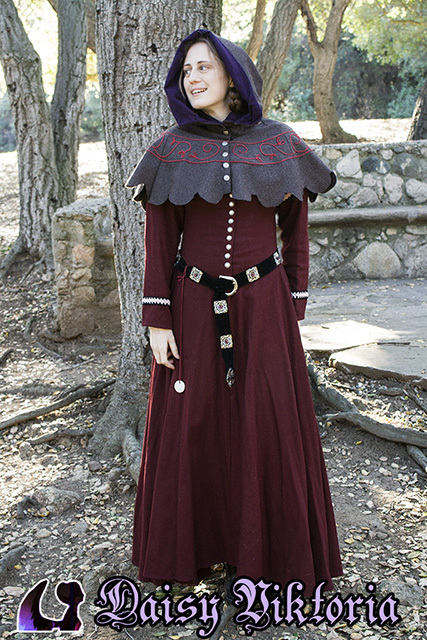 The hood is made of wool and lined in linen. 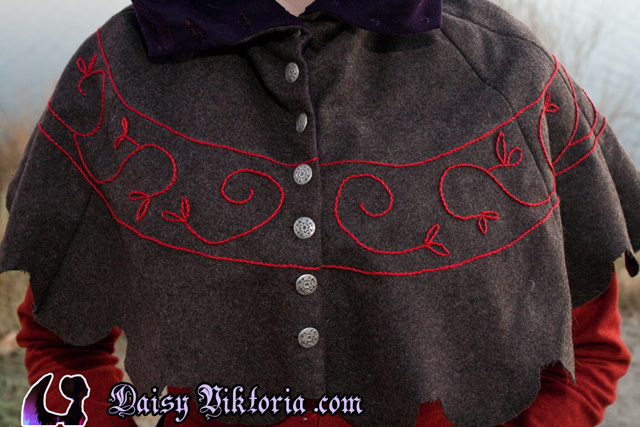 The hood buttons in the front with hand-stitched buttonholes. 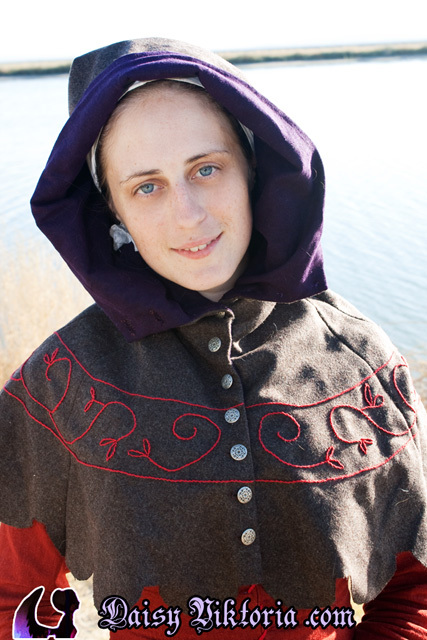 The embroidery design was drawn by me, based on period examples. 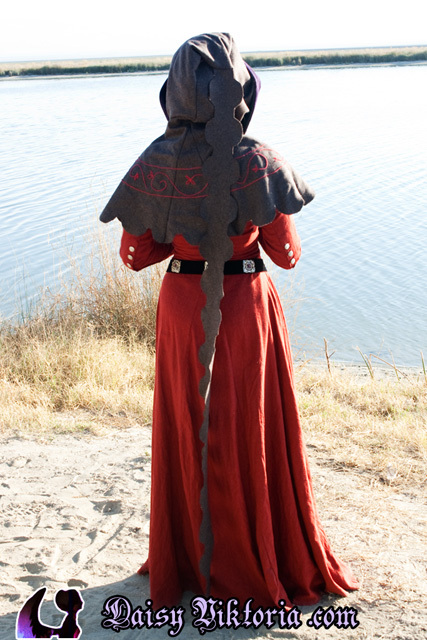 The embroidery work itself was done by the talented Lady Cecilia, to whom I am greatly appreciative.